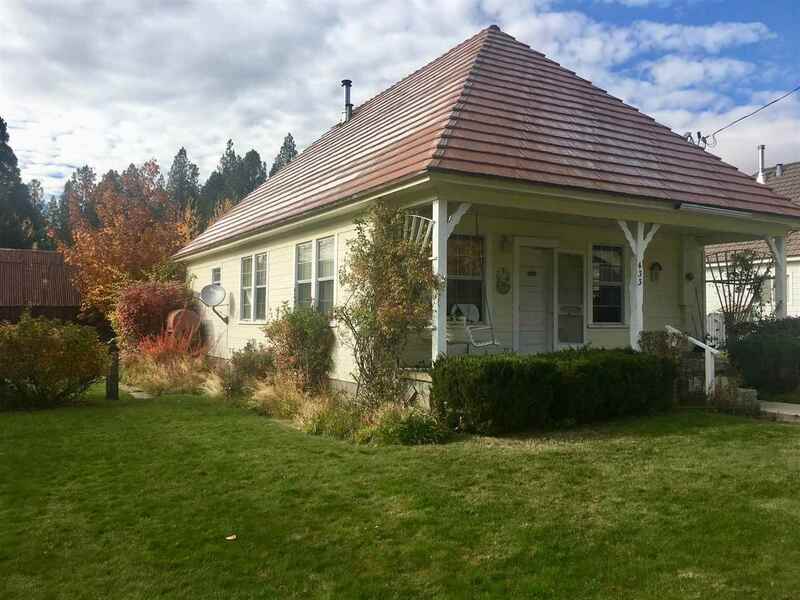 A bright and darling historic McCloud mill home, with numerous original features: exposed Douglas fir flooring, hardware and hinges, kitchen cabinetry, glass flush mount as well as pendant light fixtures, clawfoot tub, pedestal sink, and assortment of furniture and building components stored in home. Well-appointed front yard that beckons to an inviting back lawn, merged with a few varieties of grape thickets, lush trees, decorative bushes, and charming hedges along the perimeter. Separate areas for either workshop or wood storage frame either side, aft of house. Sprinkler system in place. Wooden fence offers privacy between back alley and yard.